The computer world’s biggest secret is out! Here it is. Backup, Backup & Backup. Even if they do most people don’t back up their computer data often enough! The worst part? Most people don’t back up their data at all! Some of those people operate businesses. Computer data is the lifeblood of your business. 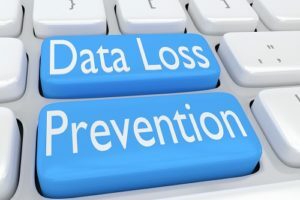 If losing data at home is personal, losing business data is more than personal. It can be costly. It’s not your fault! It’s just the human condition. It’s one of those pain-in-the-neck little things that we just never seem to get around to doing. But not backing up our data can have serious consequences in the long run. Think of backing up your data being something like brushing your teeth. If you don’t brush your teeth regularly, one day they will go away. The same thing may happen to your data if you don’t back it up regularly. Tech Sentries introduces BACKUP for your personal and business data. BACKUP is “Set It and Forget It” technology. We do the work. You continue to forget it, just like you always have. The difference is that we back up your data because you don’t. Think about it. You don’t have to change a thing. Just keep on doing what you’ve always done. BACKUP does its job when you are working and when you are not. BACKUP is invisible. You never even notice that it is working, even if you are. BACKUP stores your files and folders on the most secure and fully-redundant data centers in the cloud. BACKUP stores your data exclusively in the United States. Your data is never bounced around the digital universe. BACKUP data can be kept safe at home, too. BACKUP can simultaneously back up your files and folders to another network or connected device (also without you having to remember). 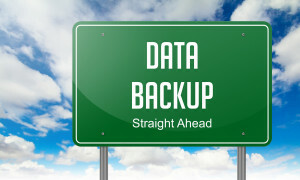 BACKUP performs regularly scheduled backups on your devices at intervals determined according to your individual needs. BACKUP can protect data from multiple devices and users in the same workspace or home. Never again do you have to worry if your or your employees are backing up their data. BACKUP has an available “Sync and Share” option for people on the go. BACKUP restores files with a single mouse click. BACKUP is easier than brushing your teeth – and it helps you Guard Your Technology. With Tech Sentries’ BACKUP you will never have to remember or worry about backing up. Contact Tech Sentries for more information about BACKUP.